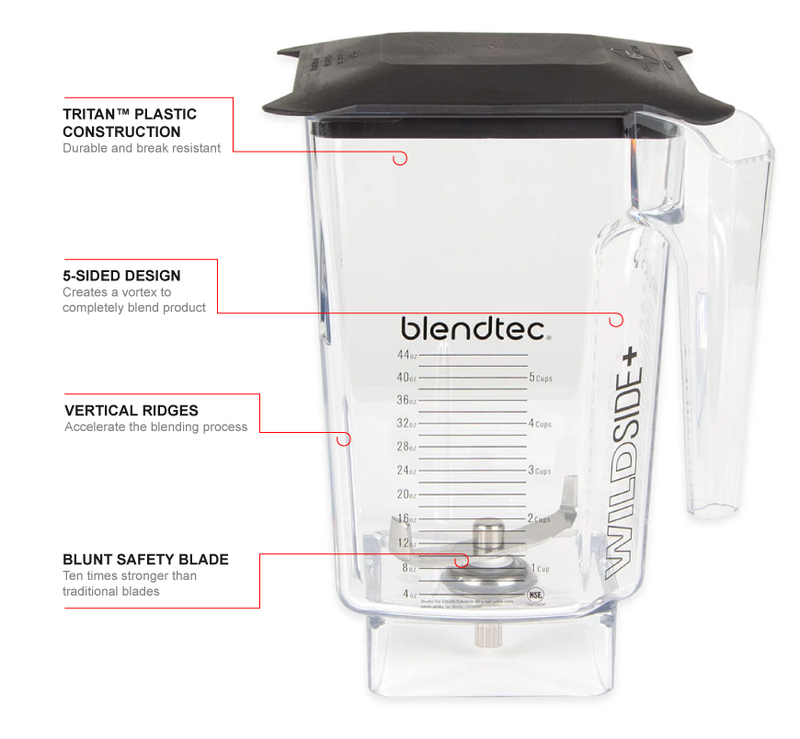 The Blendtec 40-630-61 WILDSIDE-S WildSlide™ jar has a black soft lid that is easy to put on and take off of the jar. It is constructed from BPA-free, Eastman Tritan™ co-polyester and is clear so you can easily see its contents. 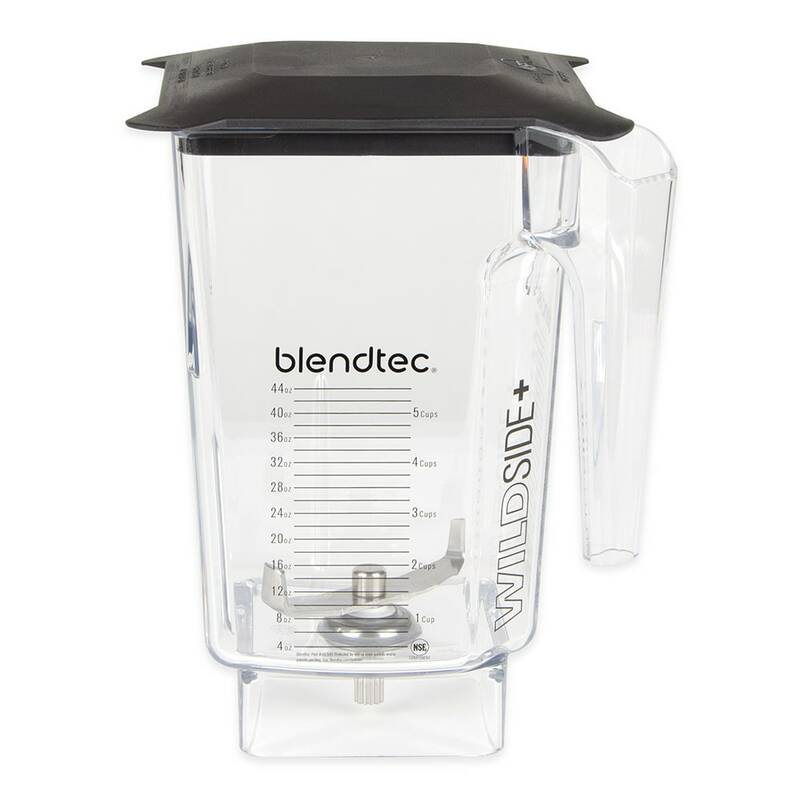 Cup, ounce, and milliliter markings make measuring easy, with markings all the way up to 44 ounces. The full capacity of the jar is 3 quarts or 90 ounces. The large-tuned, 4-inch wingtip blade is thicker and stronger than other blades. Markings up to 44 oz.